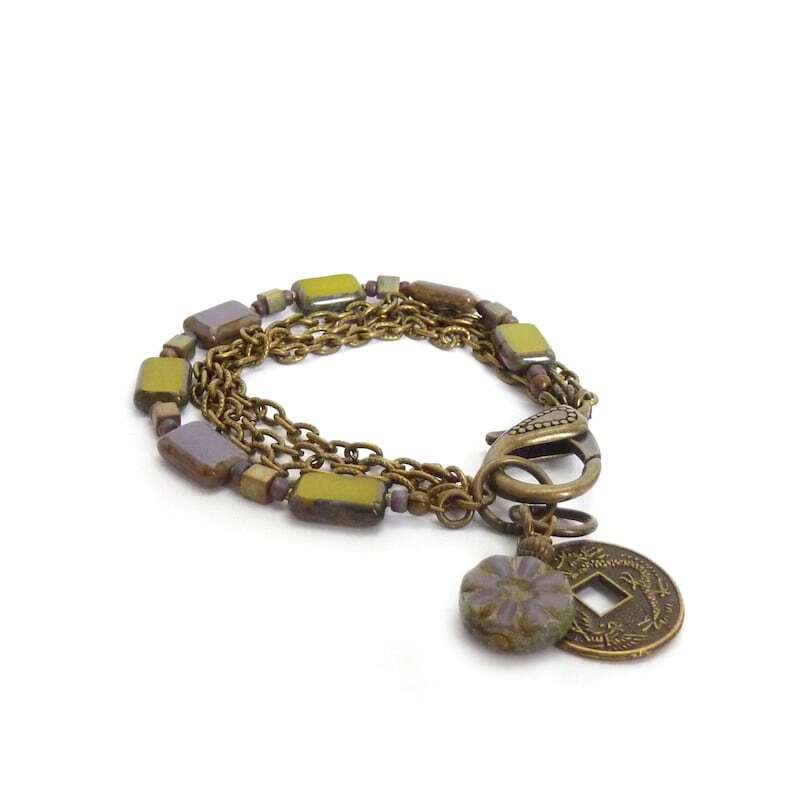 Opaque violet and olive Picasso rectangle beads are the focus of this wonderful bohemian bracelet. I added three strands of detailed antiqued bronze chain with a Chinese replica coin and glass flower charm at the end. It's finished with a chunky bronze lobster clasp enclosure. This bracelet has a fabulolus funky style and is perfect for every day. *7 1/4" to 8" (18 to 20 cm) long and can be be resized. Happy Holidays and thanks for visiting.